As reported in the Wall Street Journal today in a front section article titled, “ER Visits Rise Despite Law“, once again the Affordable Care Act (ACA) has not lived up to promises made prior to passage. The April 21, 2014, WSJ article discussed the recently released email survey of 1,845 American College of Emergency Physicians (ACEP) members conducted in April, 2014 which stated over half of ER doctors say they are seeing more patients since key provisions of the ACA took effect on January 1 and 86% expect visits to rise over the next 3 years. This is in contrast to the government’s argument to help sell passage of the ACA that ER visits would go down. Supporters had predicted that expanding insurance coverage would reduce costly emergency room visits because people would go to primary care doctors and not emergency rooms, for medical concerns that could more efficiently be delivered in a doctor’s office or other setting, especially for patients who previously were uninsured. Based on the ACEP survey and other articles, including an Oregon study published in January, 2014 in the journal, Science, clearly Obamacare has not fulfilled the promise that ER visits, and therefore costs, would be reduced. The online poll follows ACEP’s 2014 State-by-State Report Card released in January, 2014, which gave the nation a dismal D+ grade for its lack of support of emergency patients. Forty percent of emergency physicians polled say their state policymakers are doing a poor job of addressing the issues raised in their state’s recent Report Card, which looked at the issues of Access to Emergency Care, Quality and Patient Safety, Medical Liability Environment, Public Health and Injury Prevention and Disaster Preparedness. In a separate but related article in the April 21, 2014 issue of the LA Times, the Obama administration has quietly adjusted key provisions of the ACA healthcare law to potentially make billions of additional taxpayer dollars available to the insurance industry if companies providing coverage through the Affordable Care Act lose money. 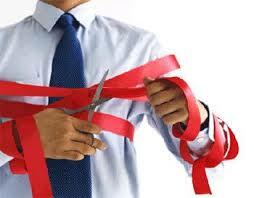 The move was buried in hundreds of pages of new regulations issued late last week. But, there is no provision to assist physicians and health care providers who are overburdened by regulations, red tape and paperwork taking care of all the additional patients thus, effecting quality care and the patient physician relationship. It is time for Congress to take action to resolve the effects of the law’s impact, including the deleterious effect on emergency rooms. At a ceremony in Corpus Christi at the Omni Hotel on April 25th, the Texas Academy of Nutrition and Dietetics Foundation presented Dr. Russell Kridel with the prestigious Texas Bluebonnet Award. 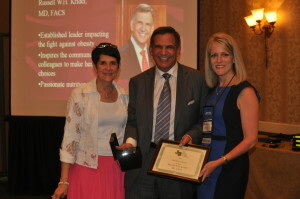 Dr. Kridel received the award for his contributions to health care, including his efforts to reduce obesity throught the Shut Out Sugar campaign developed during his tenure as President of the Harris County Medical Society. Dr. Kridel created the HCMS Personal Responsibility Committee dedicated to helping address the obesity epidemic. 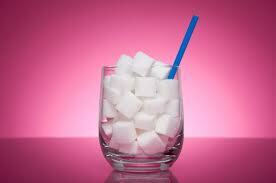 The committee provides physicians across all specialties with tools to communicate the importance of diet and nutrition to their patients to prevent obesity, diabetes and other diseases, with emphasis on sugar sweetened beverages. Through Dr. Kridel’s leadership, the committee developed a brochure called “Shut Out Sugar” for physicians and health providers. 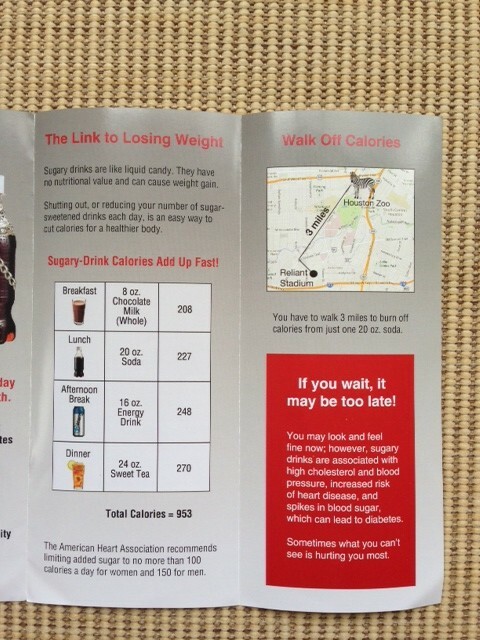 The brochure clearly outlines simple and easy steps people can take to reduce consumption of sugar-sweetened beverages to improve their health. He also participates in key roles at the state and national level on health care issues that positively promote the role of diet and nutrition in the ever-changing landscape of health care. Texas Academy President, Carol Bradley, PhD, RDN, LD presented the Texas Bluebonnet Award to Dr. Kridel along with Jennifer Cash, MS, RDN, LD, the Texas Academy Nominating Chair. Dr. Kridel also received the local Houston Academy of Nutrition and Dietetics Foundation Bluebonnet Award in 2013. Dr. and Mrs. Kridel recently held a reception to support the re-election campaign for Congressman Ted Poe. The campaign event was well attended by members of the medical community. Several physicians in attendance shared their own experiences with red tape getting in the way of delivering quality care to their patients. Congressman Poe also shared remarks including his interest standing up against regulations that are over-burdensome to physicians and detract from patient care. “Ted is a US Congressmen with common sense. He believes in the free enterprise system without overregulation. He has also been a great champion of medicine and his efforts will go a long way to preserve the patient-physician relationship,” said Dr. Kridel. 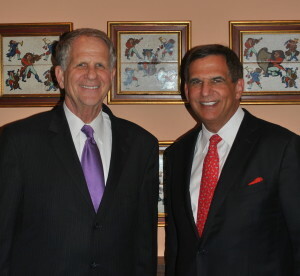 Russ has worked with US Congressman Ted Poe and several key US Congressmen from Texas as they introduced bills to help resolve the SGR and ICD-10 crises and reduce over-burdensome rules that hamper the practice of medicine. During his tenure as President of the Harris County Medical Society (HCMS) and as current Past-President, Dr. Kridel has worked with physicians across all disciplines to address critical issues affecting their ability to maintain practice viability while preserving the highest standards of patient care. Russ is a facial plastic and reconstructive surgeon in Houston and has long been an active member of the AMA, TMA and HCMS. He is the immediate past president of the Harris County Medical Society and is currently a Member of the AMA House of Delegates and Chair of the AMA Council on Science and Public Health. Dr. Russ Kridel is in our national’s capital at the National Advocacy Conference (NAC) to take part in discussions that will help maintain the patient-physician relationship and improve the health of the nation. Russ is meeting with members of Congress, political insiders and other industry experts on current efforts being made in health system reform refinement and implementation. This year’s NAC conference is just weeks before Congress’ March 31 deadline to pass a bipartisan SGR (Sustainable Growth Rate) repeal bill that has been in the works for a year. A 24% payment cut is scheduled to take place April 1. 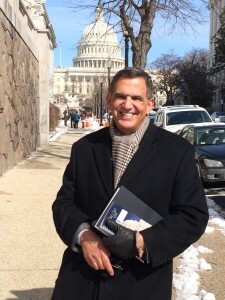 Dr. Kridel and other conference participants will personally call on members of Congress to co-sponsor the bill (H.R. 4015/S. 2000) and vote for repeal before the deadline. Russ is a facial plastic and reconstructive surgeon in Houston and has long been an active member of the AMA. He is currently a Member of the AMA House of Delegates and Chair of the AMA Council on Science and Public Health. In addition to payment cuts, our government is now penalizing us more frequently for not buying into their new plans. In order to comply with Medicare “Meaningful Use” requirements, we have to purchase expensive electronic health records (EHR) systems. These EHRs often are not “physician friendly” and require a large investment in time and money for data input, as well as physician and staff training. This is in addition to physicians being required to meet each of the three stages of meaningful use criteria to avoid penalties. Beginning in 2015, non-compliant physicians will receive payment penalties of 1 percent and additional 1 percent decreases each subsequent year until the total fine equals 5 percent. Medicare physicians who do not participate in the Physician Quality Reporting System (PQRS) will receive a 1.5 percent penalty on all traditional Medicare fee-for-service payments (Part B) in 2015, which increases to a 2 percent penalty in 2016. Similar penalties are already in effect if we are not e-prescribing. All physicians were required to convert from Version 4010 to Version 5010 of the HIPAA electronic claims standard or face payment disruption from Medicare and commercial payments. Beginning in September 2012, we also had to put into place the Texas House Bill 300 regulation, governing patient privacy, which is more stringent than federal HIPAA requirements. These compliance mandates and payer administrative burdens have required us to hire more staff, pay for numerous Electronic Health Records (EHR) and billing software upgrades, and in some cases completely overhaul how our office operates, all based on the supposition of increased efficiency. To read Russ Kridel’s Electronic Health Records editorial. Russell Kridel, MD is a leading facial plastic surgeon in private practice in Houston, TX. Dr. Kridel founded Facial Plastic Surgery Associates in 1981. Thank you for the great honor in allowing me to serve you and the Harris County Medical Society (HCMS) this year. We have had many challenges but have faced them squarely. Rather than meekly accepting the intrusive and over-reaching mandates and regulations foisted on physicians, our patients and medicine, your county society has been actively in the forefront speaking out, anticipating and working on leading future change and sharing the perspectives that only practicing physicians experience. As the country’s largest county society (We are larger than 37 state medical associations. 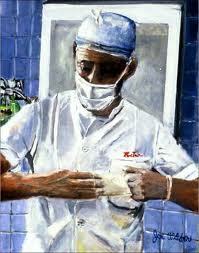 ), the HCMS has played a huge role in the dialogue of health care system reform on all levels and in a myriad of venues. In January, the physician leadership of the Harris County Medical Society (HCMS) undergoes its yearly team renewal. HCMS members should feel privileged to know they have elected a strong and energized cohort of physicians, bolstered by an incredible hardworking and insightful staff, poised to continue and expand upon past accomplishments and inroads and ready to continue our necessary role to preserve the patient physician relationship, practice viability, and a scientific, compassionate, and patient-based approach to health care delivery. 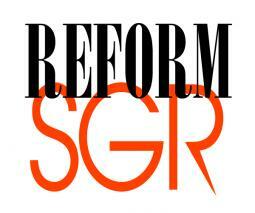 By the time this newsletter goes to press, Congress may have decided the fate of the Medicare Sustainable Growth Rate (SGR) payment system to physicians that was never sustainable, never a growth rate and always unfairly discriminatory against physicians. How physicians have been able to keep their doors open to Medicare patients for so long while under a 13-year price freeze when practice expenses have skyrocketed is only answerable by the altruism and personal commitment that doctors have for their patients. We are so fortunate that U.S. Congressman Kevin Brady from Houston has listened to our plight and the deleterious effect on patient access that might ensue. Congressman Brady has met with HCMS over four times in this last year, and, in his role on Ways and Means, he is trying to bring sense to future legislation. With the Congressman, we met with the Houston Chronicle Editorial Board and two editorials were published supporting this vital issue. The problem going forward with Congressional compromise and wheeler/dealer arrangements in replacing the SGR is simply that future reimbursements may be based on compliance requirements and so-called quality measures that have unproven clinical relevance and may be more costly than helpful. It is laudable that when Congress passed the Medicare Act (Title XVIII) in the 1960s, the original language specifically said: “Nothing in this title shall be construed to authorize any Federal officer or employee to exercise any supervision or control over the practice of medicine or the manner in which medical services are provided, or over the selection, tenure, or compensation of any officer or employee.” It is distressing to see the absolute disregard of that principle as Congress and the Executive Branch take every opportunity to interpose themselves between the patient and the doctor. Those who have neither a license to practice medicine nor the education to deliver medical care seem to take pleasure in the erosion of physician autonomy and medical decisions, which should be based on the individual needs of the patient rather than on a bureaucratic practice or cost parameter. This past year, as an HCMS priority, we have been fighting the burgeoning regulatory burdens and red tape that contract the time physicians can spend with patients. We have spent substantial time educating our U.S. Congressmen and Texas Legislators about the accumulation of compliance issues that are overwhelming physicians’ offices. They all seem receptive, but Representatives Brady and Poe have particularly embraced our causes. The opening of health insurance marketplaces and all the new rules and regulations under the Affordable Care Act (ACA) have increased our challenges. Physicians are right in the center of the paths of multiple, colliding fronts in the form of more federal and state regulatory requirements. U.S. physicians commit about 20 percent of their time to administrative tasks. Wouldn’t that time be better spent delivering health care? We have made progress in Texas. This legislative session, we successfully advocated for six bills that will reduce Texas physicians’ regulatory burden. Physicians now can renew their controlled substances registration at the same time that they are renewing their medical license through the Texas Medical Board. Other bills passed that will create uniform prior authorization forms for medications and medical services, allow patients to sign in to physician offices simply by swiping a driver’s license, and will greatly simplify compliance with the state’s medical privacy law. 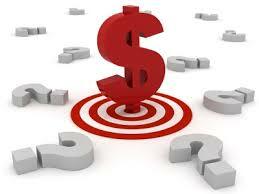 To assist you in meeting the regulatory and compliance burdens, HCMS created an incentive/penalty calculator, identified vendors to assist with “meaningful use” certification and IT support, submitted comments on delaying “meaningful use” Stage 2, and worked with Greater Houston HealthConnect. We also began working closely with TMA to develop a service organization to assist physicians with compliance and non-clinical office functions. At a national level, we continued collaborating with AMA on developing payment policy, administrative simplification and a national e-preauthorization for medical services and medications. We physicians are now being mandated to take on patient risk in our practices, as if each of us individually were an insurance company, making our reimbursements dependent on patient outcomes. Somehow someone neglected to understand that we as physicians don’t create disease. We are not responsible for the body’s systems that fail and shut down. We are valiantly doing our best to decrease ill health and the suffering and pain that often accompany illness. We cannot be financially or morally responsible for patient outcomes when we are being crippled by mandates on how to deliver care from those who hold the purse strings but no license or by patient non-compliance. This year, in order to highlight the role that patients can play in their own health, HCMS started a Personal Responsibility Committee. It is estimated that more than half of all our U.S. health care expenditures are for self-induced medical problems that could be prevented if individuals took better care of themselves and their families. Obesity alone has taken on epidemic proportions, with the U.S. spending hundreds of billions a year to treat diabetes, obesity and overweight problems. And, yet, there are little if any Congressional legislative initiatives that incentivize patients to practice healthy lifestyles. 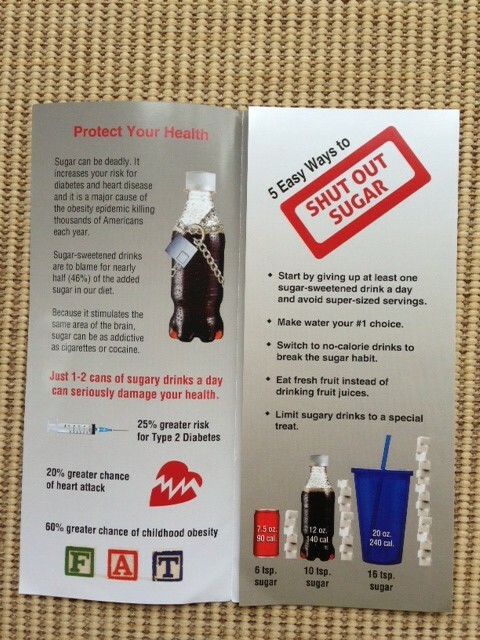 Our Committee developed a brochure, soon to be distributed, to increase patients’ awareness of how sugar-sweetened drinks not only add to the waistline but also increase their risk of diseases. 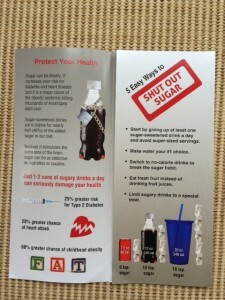 HCMS has received grant funding from the Texas Medical Association Foundation to assist with the Shut Out Sugar campaign. 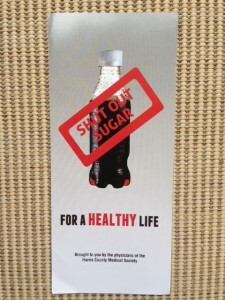 Go to www.hcms.org or www.sugarshutout.org for more information. 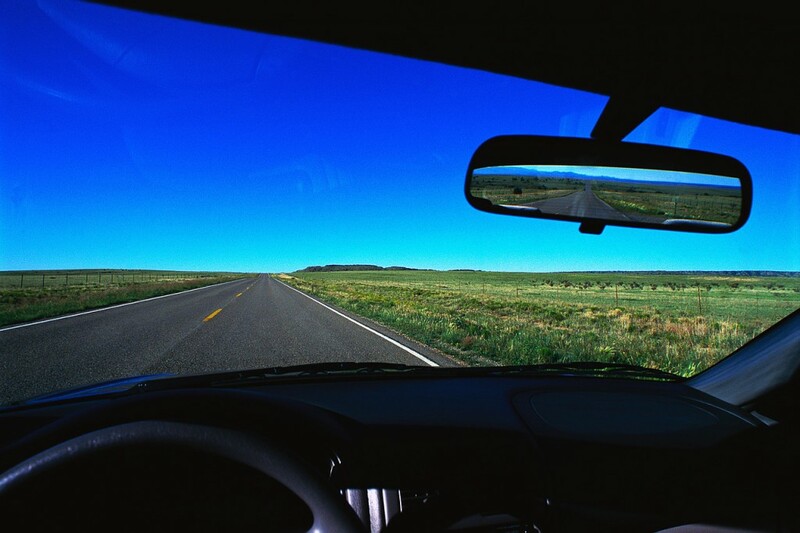 As your new officers, committee and council members take the wheel of this great organization we cannot view the future of medicine and the role we have to play by looking through the rear view mirror of yesterday. 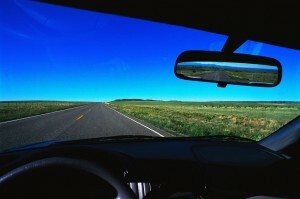 The view ahead belongs to those who face the fact of change and move forward to shape it. And change is here, often obstructing our progress forward and causing many detours, which frustrates physicians as we try to provide the best care for our patients and advance science. 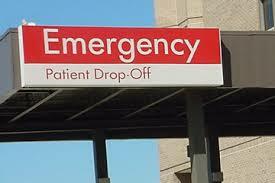 We used to be solely in the driver’s seat, helping our patients arrive at healthy destinations. But now, the person paying for the gas is no longer the patient, having been replaced by the government and third-party payers; they used to be just back seat drivers, annoyingly telling us where to make our turns. But more recently, they’ve made passengers of physicians; and they are behind the wheel. Unfortunately for patients and physicians alike, they don’t have a license and haven’t even had drivers’ education. Your new leaders will be working harder than ever to put you back in the driver’s seat to lead the health care car safely in the right direction. Dr. Russell Kridel is a facial plastic surgeon in Houston. 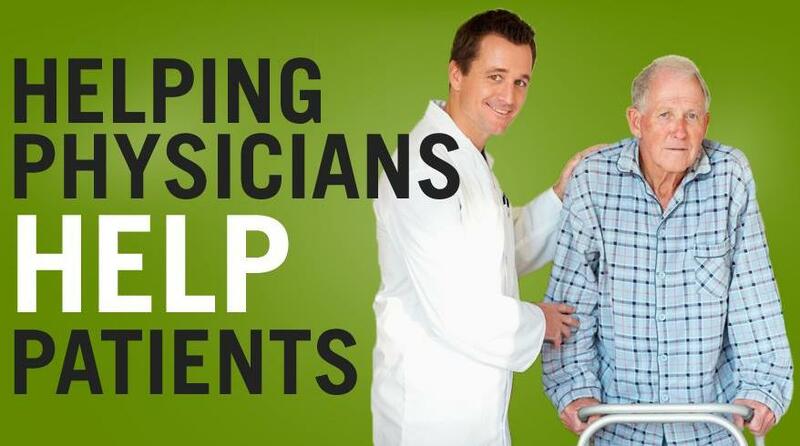 See all of the exciting community and physician resources available at the Harris County Medical Society. Read the full text of Dr. Russell Kridel’s President’s Page in the December 15, 2013 issue of the HCMS Physician’s Newsletter. We know of the classic art museums in the world, famed not because of their structure, but because of the diverse unique works on their walls. The greatness of these institutions expands only as do their collections. Unlike the fleeting end of a relay race, the artwork survives centuries, for all to view, praised or damned. And, so should our physician leaders see their mandate to put their own brush marks on the canvas; not everyone will like our art, but our effort and thoughts will be reflected. Artists are a suffering brood, usually impoverished and unknown, but always innovative and gutsy, and generally not afraid to offend or delight. 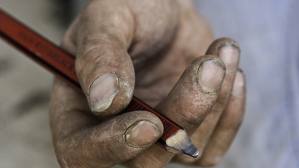 Out of their adversity and needy realities spring their creativity and social commentary. Recognition, if at all, may come decades after death, so the driving force must be an inner turmoil or exuberant expression. There must be a passion, a vision of an image to place upon that canvas. If we have no passion, no desires or goals, we should let others take our place at the easel, because the oils don’t belie mediocrity. Just like artists, physician leaders need to have a fired passion for their organization and need to be allowed to be different, to be proactive agents of change, lest their organizations stagnate. Leaders also need an experienced basis in adversity to temper naïve and youthful illusions of reality. Often an electorate shies away from the innovator, away from the squeaky wheel, when indeed that is what membership may need the most. We are living too much in a time of acceptance when perhaps we should be back in time, like the sixties, daring to be controversial, not afraid to make others uncomfortable if we disagree. Growth does not take place unless we challenge the mind, our beliefs, and ourselves. We must increase the debate, not make it less. Personal Responsibility is an important element of addressing rising health care costs. Obesity alone has taken on epidemic proportions, with the United States spending $174 billion a year to treat diabetes, and at least $147 billion on health problems related to overweight and obesity. 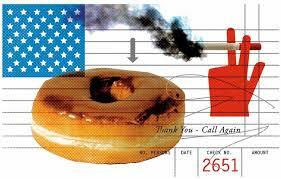 Tobacco still costs this nation more than $150 billion a year. According to the Centers for Disease Control and Prevention (CDC), nearly 75 percent of Americans report they do not always take their medications as directed; one in three never fill their prescriptions; and proper adherence approaches only 50 to 65 percent in patients with chronic conditions, such as diabetes and hypertension. An article in the New England Journal of Medicine (NEJM) reported that poor medication adherence contributes significantly to medication-related hospital admissions in the United States, at an estimated cost of at least $100 billion annually. Lifestyle behaviors are difficult to change, and solutions to effect behavioral modification have been largely unsuccessful to date, despite huge community efforts and even legislation. Some patients have developed a sense of entitlement of care, taking no responsibility for abusing their health but expecting every conceivable means of treatment be used to cure them, no matter the expense. 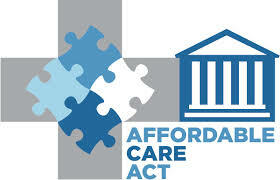 They, in turn, blame the health care delivery system for its high costs. This is unfortunate, since there likely would be more than enough money in our health care system to help patients with illnesses that could not be prevented if the rest of our population practiced healthy living. Other patients would like to change but need to be taught what to do. Others face economic and cultural obstacles that prevent wellness, which we must address. 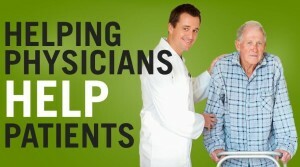 Physicians can help patients help themselves. But, we also need the government’s support to help us do that. Click here to read Russ Kridel’s full editorial. The Bluebonnet Award of the Houston and Texas Academy of Nutrition and Dietetics is intended to recognize an individual who is not a dietitian, but who has contributed significantly to the advancement of nutrition and dietetics in Texas. Dr. Russell Kridel is a passionate advocate of the importance of nutrition and diet in our community. As the President of the Harris County Medical Society for 2013, one of his primary goals during this year is to help target the obesity epidemic in our community. He created the HCMS Personal Responsibility Committee dedicated to helping address the obesity epidemic. The committee provides physicians from all specialties with additional tools to communicate with their patients about the importance of diet and nutrition to prevent obesity, diabetes and other diseases, with specific emphasis on sugar sweetened beverages. 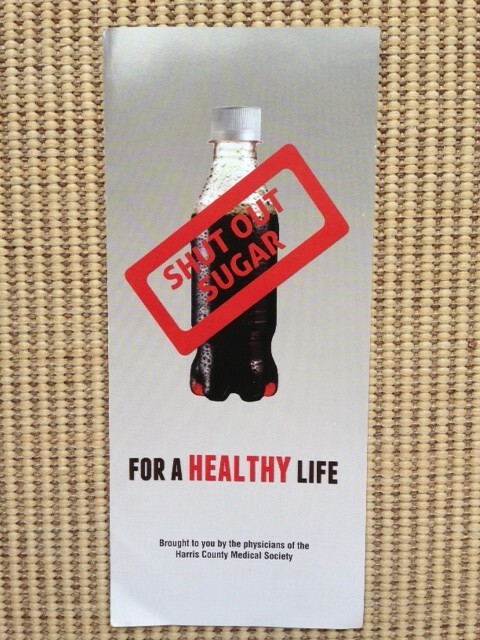 Through Dr. Kridel’s leadership, the committee developed a brochure called “Shut Out Sugar” for physicians and other health providers to hand out to patients. 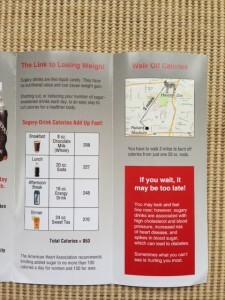 The brochure clearly outlines simple and easy steps people can take to reduce consumption of sugar-sweetened beverages to improve their health. He also participates in key roles at the state and national level on health care issues that positively promote the role of diet and nutrition in the ever-changing landscape of health care. Dr. Kridel is in his sixth year and the current Chair of the American Medical Association (AMA) Council on Science and Public Health (CSAPH). CSAPH provides information and recommendations on medical, scientific, and public health issues. Reports during Dr. Kridel’s tenure on the CSAPH, have covered such issues as: sugar sweetened beverages, obesity and bottled water safety. 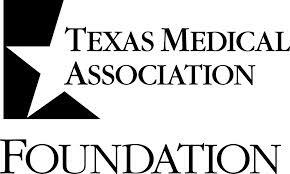 As the immediate Past President of the TMA Foundation, Dr. Kridel also raised funds for initiatives that enable physicians and their families to give back to their community and improve the health of all Texans. 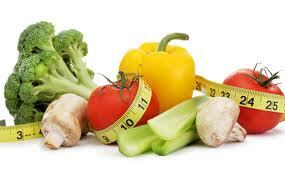 The foundation supports TMA’s health improvement programs that address the association’s public health priorities. Dr. Kridel will be presented with the Bluebonnet Award at the annual Houston Academy of Nutrition and Dietetics member’s dinner in May, 2014. He will also be placed into consideration for the statewide designation.